Admiral Sports is pleased to announce a strategic partnership with Katy Tigres FC, a United Premier Soccer League (UPSL) side based in Katy, Tex., Katy Tigres FC will begin UPSL play in the Texas Conference. Founded in 2017, Katy Tigres FC can participate in the qualifying rounds for the Lamar Hunt U.S. Open Cup through their affiliation and membership with the UPSL, the U.S. Soccer Federation (USSF) and the United States Adult Soccer Association (USASA). 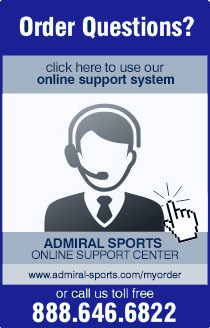 Admiral has also become very involved in the soccer accessories market, providing innovative products to their customers. Admiral currently offers a wide range of coaches accessories, including goals, bags, customized club branded balls, goalkeeper gloves, referee supplies, and training equipment.